For those who have been around the VoIP industry for some time, the name VocalTec is synonymous with the industry's earliest days. VocalTec is a true VoIP pioneer and many even credit them for creating the first commercial products that put VoIP on the map. As with anything, origins are often debatable, but there is no denying that the company played a pivotal role in the first days of this industry. Having gone through its own financial troubles, amid regional and more broad economic downturns through the years, in addition to the evolution from H.323 to SIP, VocalTec saw its star dim and went through a period of restructuring, but is slowly and steadily making its way back into the limelight of the IP communications space. Just today the company announced that VMB, a carrier in St. Petersburg, Russia, has selected VocalTec solutions for its VoIP network rollout. And, last week, VocalTec announced that Amatole Telecoms, a South African USAL (Under-Serviced Area License) service provider, had selected VocalTec's Essentra VoIP solutions in a VoIP deployment over Amatole Telecoms' WiMAX carrier-grade, converged IP network. According to the announcement, VocalTec's Essentra solution will support Amatole Telecoms' requirement to provide customers with innovative residential and enterprise services, over a next-generation network architecture, enabling the provision of subscriber services at reduced cost, while enhancing service flexibility as well as the rapid deployment of value-adding services and applications. It's good to see the name of a one-time high-flier back in the news, announcing customer wins no less. The company will be releasing its fourth quarter and full year 2008 results on Monday, March 2, 2009 at 10:00am ET. Mr. Ido Gur, the President & CEO of VocalTec will lead the call, and management will review and discuss the results, and will be available to answer questions. Details, including dial-in information of the call can be found here. Looking back to VocalTec's last reported numbers, for the third quarter (2008) we see that revenues for were $1.4 million. Sipera Systems says it's joined the RSA Secured Partner Program and RSA, The Security Division of EMC, said that it has certified interoperability between the Sipera IPCS UC security product family and the RSA SecurID two-factor authentication solution. The result is a simple way for users to secure their VoIP phones without the need to use any special clients or phone configuration. All users need to do is enter the RSA SecurID one-time secure password and their PIN. In an era where security and privacy compliance in industries such as healthcare, financial services and others is becoming critical, this solution helps an organization achieve its overall secure information goals. Just today, TMCnet columnist Kevin Coleman published his most recent column, titled $1Trillion. In his note to me he wrote: "It's bigger than the bailout!" and when you stop to think about it, it's a scary thought. The trillion that Coleman is referring to is not a US Government sponsored handout, it's the estimated dollar loss for intellectual property and data theft in 2008 for businesses globally. Coleman gets his numbers from Dennis C. Blair, the Director of National Intelligence, in his Annual Threat Assessment of the Intelligence Community for the Senate Select Committee on Intelligence. To learn more, read the entire article. Is This the Beginning of Nortel Sell-off? Radware is acquiring Nortel's Layer4-7 application delivery products, which were originally acquired by Nortel in 2000 by way of its purchase of Alteon. It was not unexpected that Nortel would shed some assets as it strives to restructure itself while under bankruptcy protection. Radware, based in Israel, was earlier rumored to be interested in Nortel's Metro Ethernet products. We'll see if this portends a bigger breakup of the once high-flying telecom gear maker. Radware issued the following statement: (reprinted in full) Radware (NASDAQ: RDWR), the leading provider of integrated application delivery solutions for business-smart networking, today announced that it has signed an asset purchase agreement with Nortel [TSX: NT, OTC: NRTLQ] to purchase certain assets related to Nortel's Layer 4-7 Application Delivery Business. Nortel added the application switch product line in October 2000 by way of its corporate acquisition of Alteon WebSystems, Inc. "We believe acquiring Nortel's Application Delivery Business is a strategic move that will directly benefit Radware and Nortel's [Alteon] customers. Our ultimate goal is to provide them with a stronger, integrated product backed by world-class support and a globally-focused organization," stated Roy Zisapel, CEO, Radware. is a hot topic these days, whether traditional TDM, or more frequently now, VoIP recording. There are many reasons to deploy a call recording solution, be it to improve your business' performance through monitoring and archiving important calls, to enhance training and employee development, or to comply with government mandates and regulations.Call recording Today I received word of a new call recording solution designed specifically for Skype. Developed by ExtraLabs Software, Skype Recorder is compatible with all versions of Windows (95, 98, Me, 2000, XP, NT, Vista) and supports all Skype versions. According to the company: Skype Recorder can record Skype calls automatically. 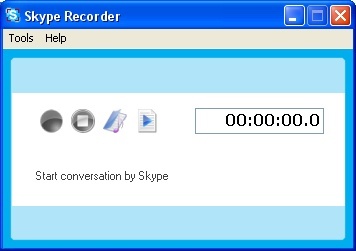 · Skype Recorder has a range of efficient and advanced capabilities: · Manually start/stop/pause, or automatically record Skype calls · Convert your calls to MP3/OGG/WMA/WAV format · Built-in audio player, built-in FTP client · 'Spy' mode The software starts recording as soon as a users starts talking. At the end of the conversation, Skype Recorder encodes the recording to the specified format and saves the file on the user's hard drive. Skype Recorder is available for a free 30-day trial period. Writing about President Obama's signing of the "American Recovery and Reinvestment Act," TMCnet columnist Barlow Keener does a good job parsing the bill for its broadband communications related passages, from who will be doling out the funds (NTIA, RUS) to what the requirements are for getting those funds (jobs creation, shovel readiness...), and so on. One thing I found interesting was the provision in the Bill for so-called "net neutrality obligations" contained in the legislation: Grants provided must be subject to NTIA-determined "non-discrimination and network interconnection obligations" which "at a minimum" must follow the FCC's non-discrimination policy. Grants may be provided for a wide range of equipment and services including education of broadband subscribers. It's an informative piece, one which I highly recommend. Great. Another acronym. I guess in the world of tech that we inhabit, that's to be expected. This one's not so bad provided it's pronounced volt and not volt-EE. What am I talking about? I'll tell you. Nokia Siemens Networks has reportedly come up with an approach for providing voice service over LTE networks that: ...operators can implement with simple and cost-effective software and hardware upgrades* to their existing 3GPP circuit-switch core network. The "Fast Track VoLTE" approach provides a cost-efficient way to offer voice over LTE (VoLTE) in any mobile network architecture. Note the asterisk. The Carrier Ethernet space got a bit more competitive today with the announcement from Juniper Networks and Nokia Siemens Networks that they are teaming up to offer their carrier customers an end-to end Carrier Ethernet solution designed to "provide resilient access and aggregation for service providers worldwide." According to both parties, the joint effort will "bring the vision of a unified Carrier Ethernet solution supporting all services on a single network." The solution comprises Juniper's MX-series Ethernet Services Router, NSN's A-series Carrier Ethernet Switch and the ASPEN "single click" network management system. The companies hope to enable service providers to enhance their mobile backhaul, enterprise and residential services. Juniper and NSN say the solution will be available in the second half of 2009. 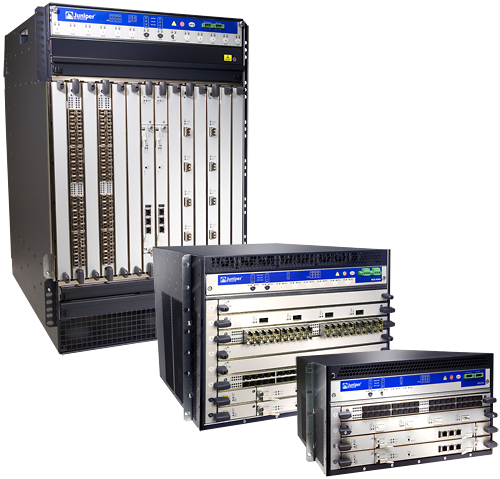 Earlier this week, Alcatel-Lucent announced their own Carrier Ethernet solution in response to continued growing demand from the enterprise for more (and more affordable) bandwidth for richer services and applications over Carrier Ethernet, together with high levels of quality of service. According to John Mazur, Ovum Principal Analyst for Switching and Routing: The adoption of carrier Ethernet is accelerating, especially for mobile backhaul and enterprise access applications. Still, network and element management across systems manufactured by different vendors is a major concern for network operators. President Obama's economic stimulus plan passed its first hurdle today, clearing the Senate, en route to the House. Among the many elements of the bill, there is nearly $7billion in available funding for the delivery of wireless broadband to rural areas. Fred Campbell, the President of the Wireless Communications Association International issued the following statement: "WCAI is pleased that the Senate stimulus bill includes $6.65 billion in grants for broadband deployment. 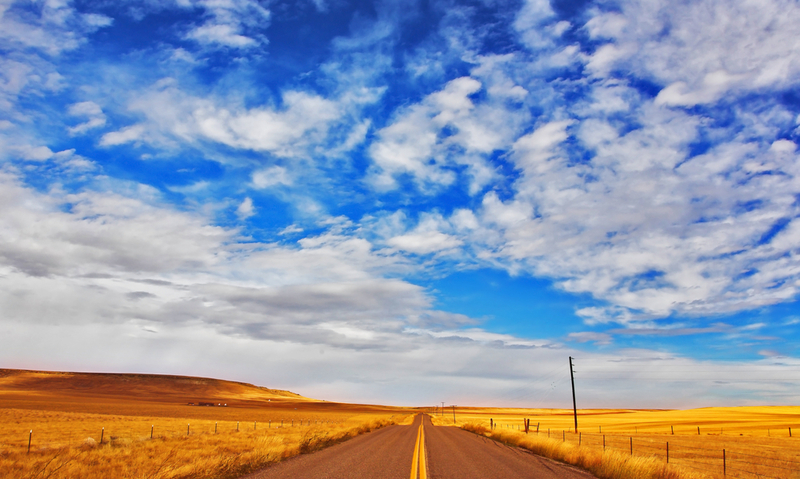 As the only broadband platform that is capable of providing access everywhere, all the time, and at affordable prices, wireless broadband is essential to broadband connectivity, especially in rural areas.